Aircraft engine maker Rolls-Royce Holdings PLC’s announcement today that it would slash 4,600 jobs and aim to save $535 million a year through 2020 has caused the luxury automaker sharing the same name to issue yet another clarification that it was in fit fiddle. 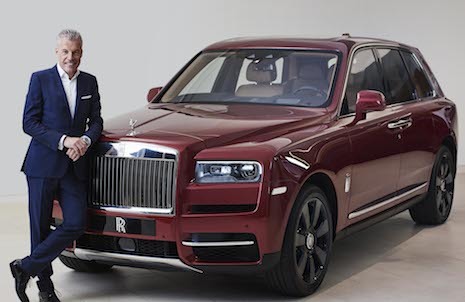 A lengthy statement put out this morning by the BMW-owned Rolls-Royce Motor Cars comes 16 months after a similar clarification following some media reports that confused and conflated the brands. This is the very potent danger arising of two companies sharing the same brand name. Vickers PLC in April 1998 sold the Rolls-Royce auto trademark to BMW for $634 million, while letting its aero engine unit keep the Rolls-Royce name. BMW in 2003 launched a new Rolls-Royce Motor Cars company with headquarters in Goodwood, England. Up until the sale in 1998, Vickers owned both the Bentley and Rolls-Royce car brands. That same year, Volkswagen bought the Bentley auto brand along with the Crewe, England, factory. 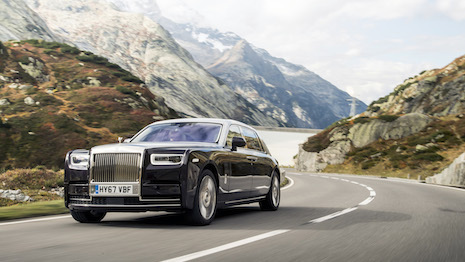 In light of the news emanating from Rolls-Royce plc today, and to avoid any potential confusion in the media, Rolls‑Royce Motor Cars wishes to clarify that it is in excellent health and enjoying sustained global success across its model range. There are no plans for job reductions. The Rolls-Royce Cullinan – “the Rolls-Royce of SUV’s” – was launched to global acclaim from media, customers, prospects and enthusiasts alike. This overwhelmingly positive response has been exceptional, with the car being recognized as an authentic all-terrain vehicle that has taken its rightful place as the leader of the luxury SUV market. Customer deliveries begin in the last quarter of 2018 and the new model already has a full order book well into next year. Sustained global demand for Wraith, Ghost and Dawn families has been further enhanced with the introduction of Black Badge variants of each model. Black Badge is a clear indication of the modernization of Rolls-Royce and how the company intimately understands and responds to customer demand and the shift in the luxury landscape. Rolls-Royce continues to invest heavily in its business in preparation for the future. Development of the Architecture of Luxury – Rolls-Royce’s proprietary all-aluminum architecture – will underpin all future models. A new single-line manufacturing system – now fully operational – is central to the company’s long‑term production strategy. The Rolls-Royce Technology and Logistics Centre at Bognor Regis was recently extended by almost 10,000m2 to meet growing demand and in readiness for future models. More than 1800 skilled men and women are employed at the Home of Rolls-Royce, a fivefold increase since the company was launched in 2003. Rolls-Royce has recently demonstrated its long-term commitment to supporting future talent with a record intake on its industry-leading Apprenticeship Program. Almost 50 young people are currently learning skilled trades at the Home of Rolls-Royce. Record numbers of graduates and interns also recently joined the company.